Everett Nolan Blaser, 60, passed away peacefully at his home on Monday, April 9, 2018. He was born in Meridian, Idaho, on May 28, 1957, the son of Everett and Nola Brown Blaser. 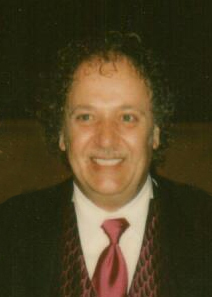 He enjoyed working as a cosmetologist and loved his clientele, many of whom had been loyal patrons for several decades and had become close friends and family to him. Everett participated in the Relay For Life fundraising walk for many years on the Hair & Company Team. He was a long-time supporter of the Eccles’ Art Center Annual Auction. He also served for a number of years as a volunteer for the Sundance Festival. He enjoyed going to Bear Lake with friends during the summers and winters. It was where many of his fondest memories were had. Everett is survived by his nephew, Clint Davis, and half-siblings, and by his good friends, who comprised his second family. He was preceded in death by his parents; sister, Susan Davis in 2001; and nephew, Kenneth Davis in 2000. Adult friends are invited to a Memorial Celebration of Life Gathering from 3 to 5 p.m. on Sunday, April 22, 2018 at The City Club, 264 25th Street, Ogden. In lieu of flowers, donations can be made at Lindquist’s Ogden Mortuary, 3408 Washington Blvd., Ogden, UT 84401, to help cover the cost of the services.